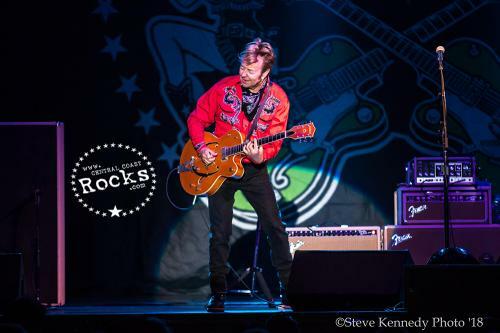 The iconic guitarist, songwriter, vocalist and three-time Grammy Award-winner is on the road for his 2018 “ROCKABILLY RIOT!” Summer Tour, which made a stop locally in SANTA YNEZ on FRIDAY, JUNE 1 at CHUMASH CASINO. 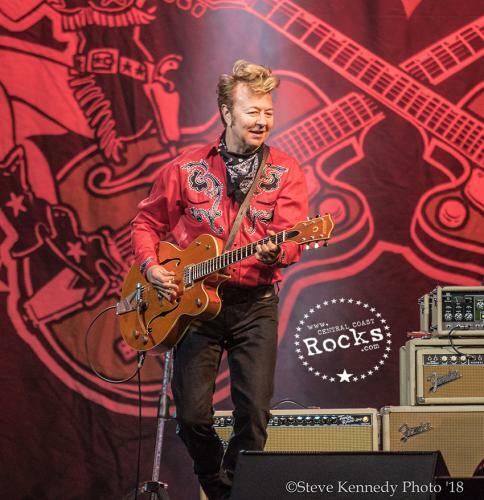 Brian Setzer kicked off his 2018 Rock-a-Billy Riot Tour at the Chumash Casino in Santa Ynez, Ca. 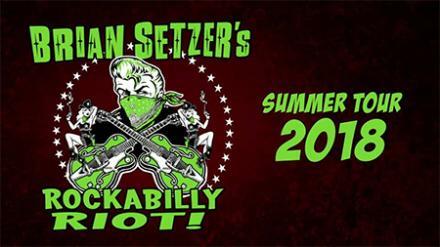 The tour is set to roll across the U.S. throughout the month of June. 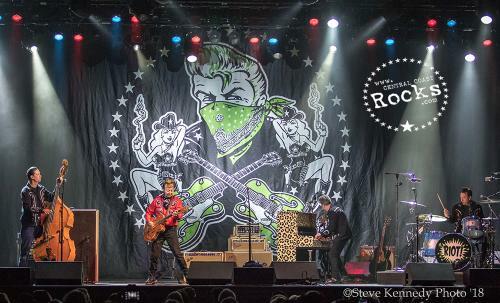 The Chumash Casino boasts incredible hospitality and multi-million dollar sound and lighting set up creating an intimate stage for Setzer to kick off his tour. 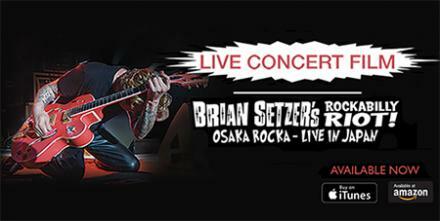 The band blazed through a 90 minute set showcasing Setzer's solo material as well as a few Stray Cats classics. 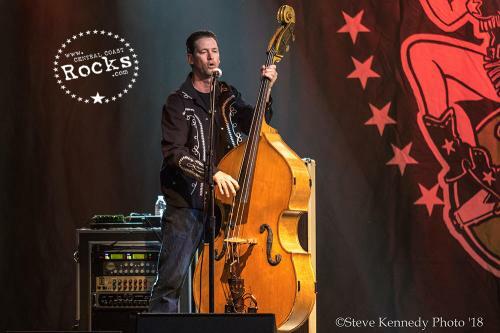 If you like slap bass rock then Mark Winchester is your man. His flawless tone coupled with the searing rhythms of drummer Noah Levy laid the ground work for piano player Kevin McKendree and Setzer to rip up the rock a billy vibe. 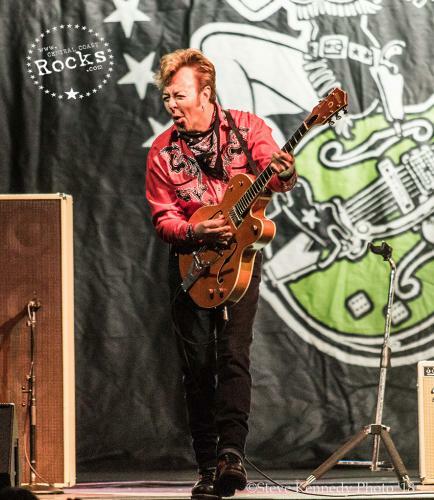 Setzer known for his talented guitar prowess showed off playing several different hollow bodied trademark Gretsch guitars including a sparkling hot rod green gem. 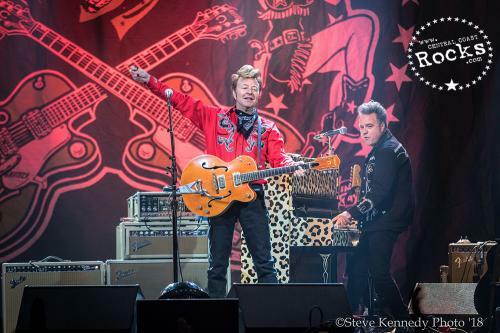 Setzer riffed his way through venerable tunes like Rumble in Brighton, Stray Cat Strut, Jump, Jive an' Wail, plus other electrifying songs like “Let’s Shake” from his latest solo studio album Rockabilly Riot! 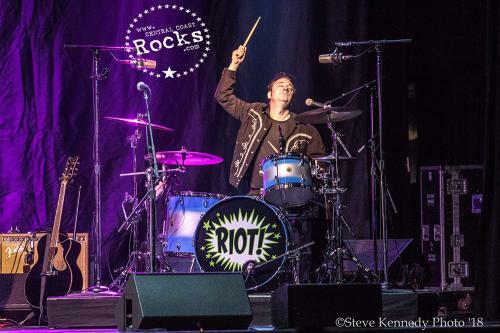 : All Original, and closing the show with Rock this Town. 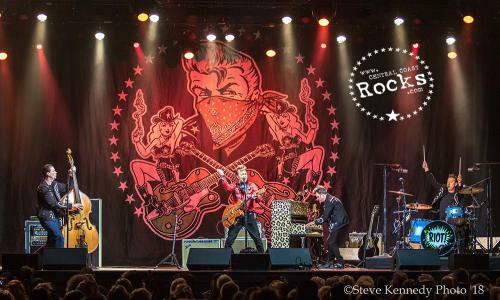 In late 2016, SETZER released his live Blu-Ray/CD package, BRIAN SETZER’S ROCKABILLY RIOT: OSAKA ROCKA! – LIVE IN JAPAN, a sizzling rockabilly album from start to finish that highlights the same band. More information on the Blu-Ray/CD and to Purchase click here.